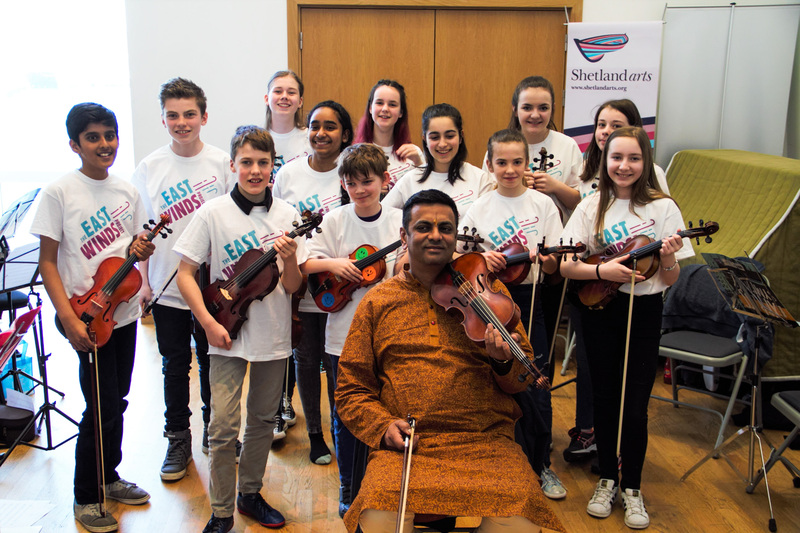 The first residency took place in Shetland, in April, and was a huge success. 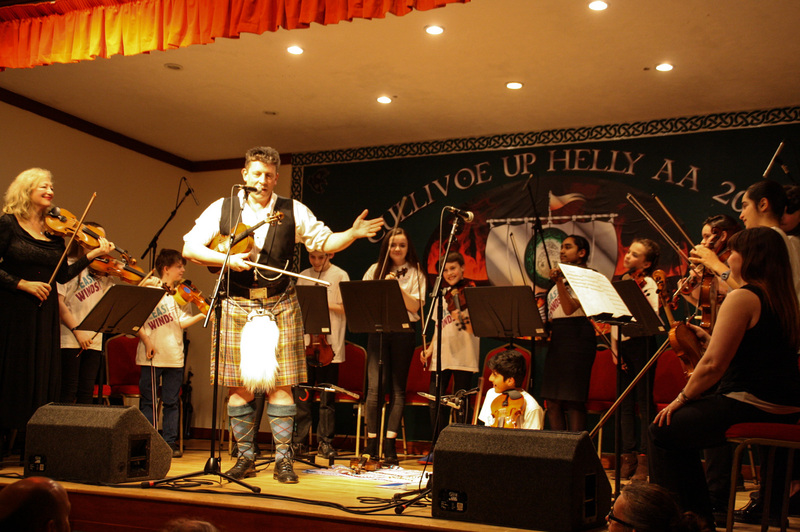 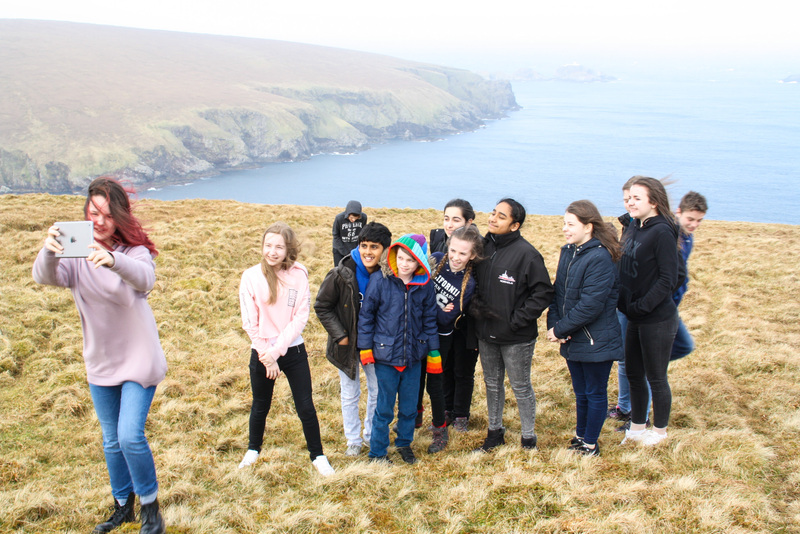 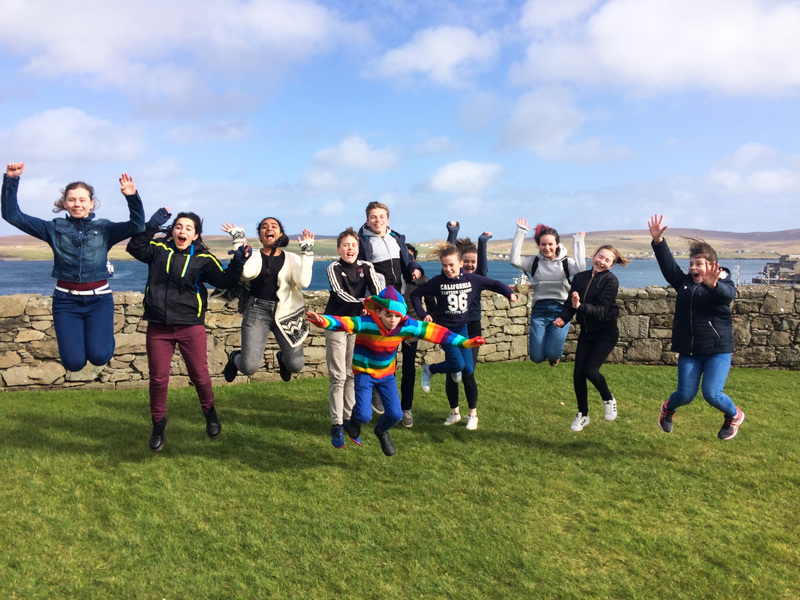 The six London students were hosted by Shetlanders and spent time with the six Shetland youngsters and their families, sharing experiences, music and lifestyles, with the common bond of the violin or fiddle. 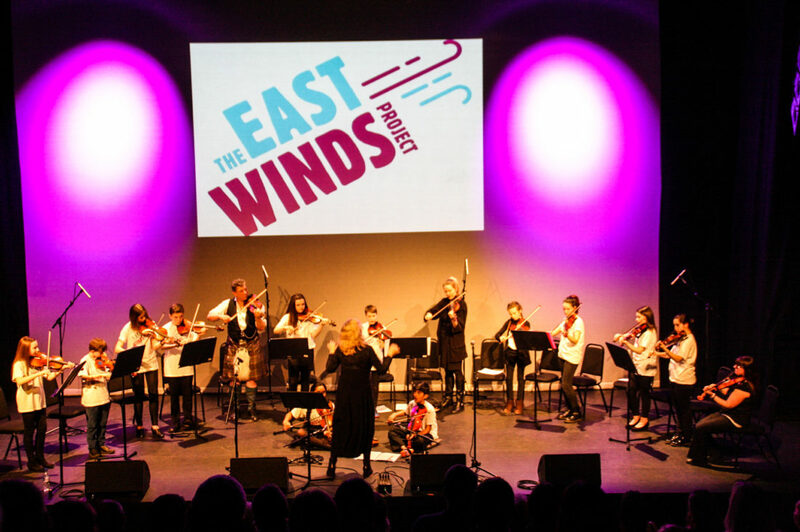 They continue to communicate from afar in the lead up to the second residency, in Walthamstow, East London, this July. 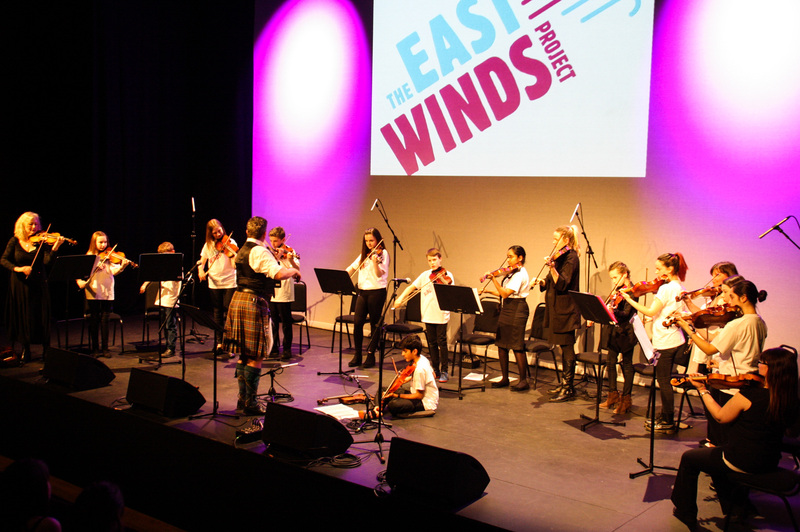 The London’s leg is being run in partnership with Waltham Forest Music Services and Rich Mix, Shoreditch. 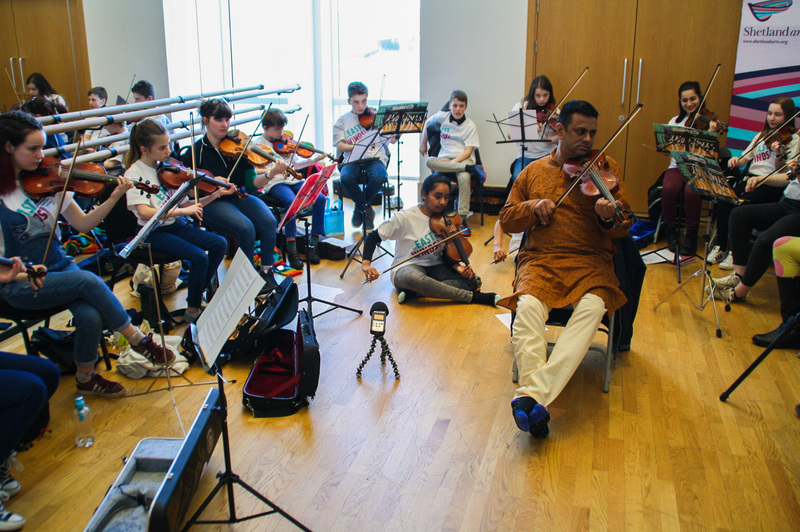 Guided by professional musicians Kriss Moulder (Hjaltibonhoga, Shetland), Geraldine McEwan (Waltham Forest Music Services) and Artistic Director, Alison Jones (Shapeshifter Productions), the East Winds Project has involved the young violinists in workshops, rehearsals and concerts, with special guest tutors, Balu Raguraman (Bhavan Centre, London) and Paul Anderson (Aberdeen). 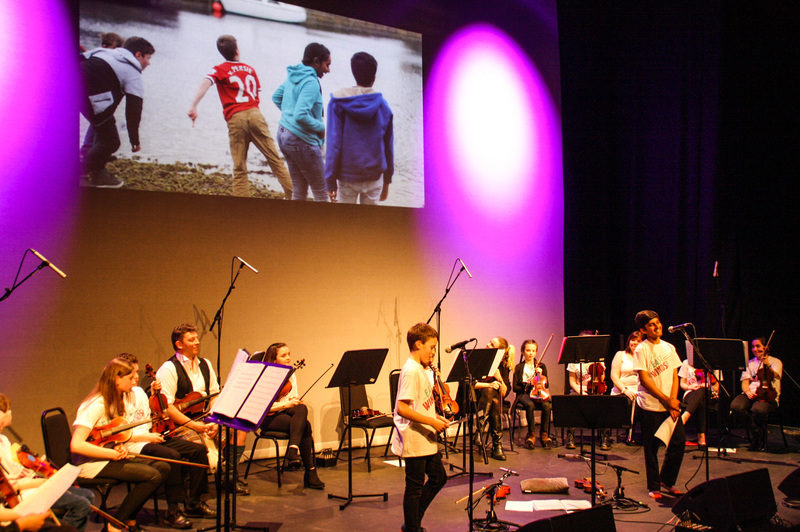 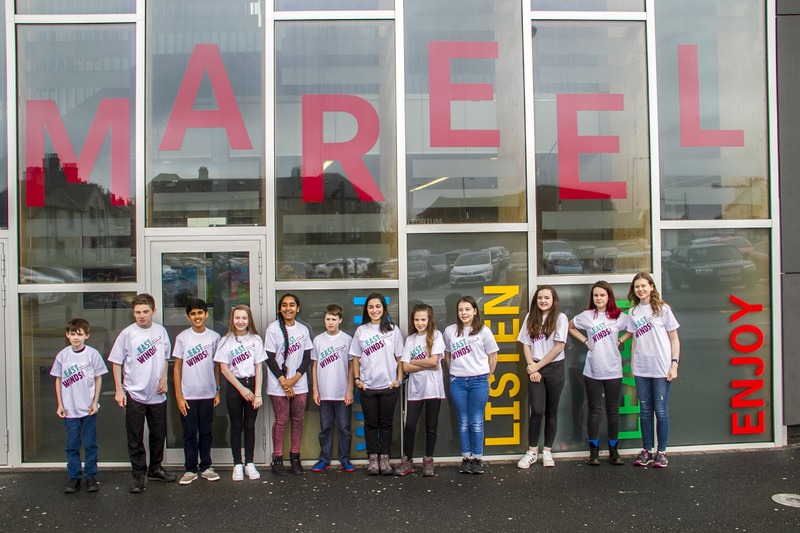 The first residency culminated in a newly developed repertoire, accompanied by film and dialogue, inspired by the students’ experiences, performed at Mareel, Lerwick and Cullivoe Hall, Yell.